Senator John McCain spoke to the LA Worlds Affair Council about his foreign policy at the Bonaventure hotel in Downtown LA. 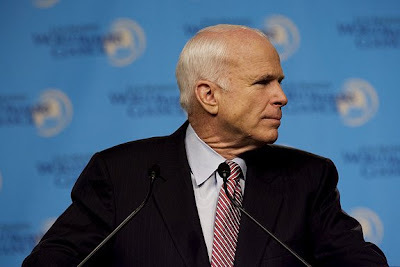 Mr. McCain gave his views on the Iraq war, the G8, and Latin America. He also tried to distance himself from President Bush by telling the crowd how he hated war. Yet Mr. McCain said he would not withdrawal troops from the 5 year long Iraq bloodbath.